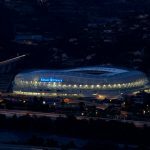 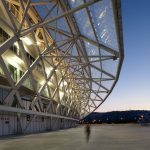 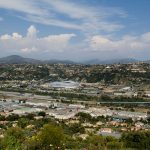 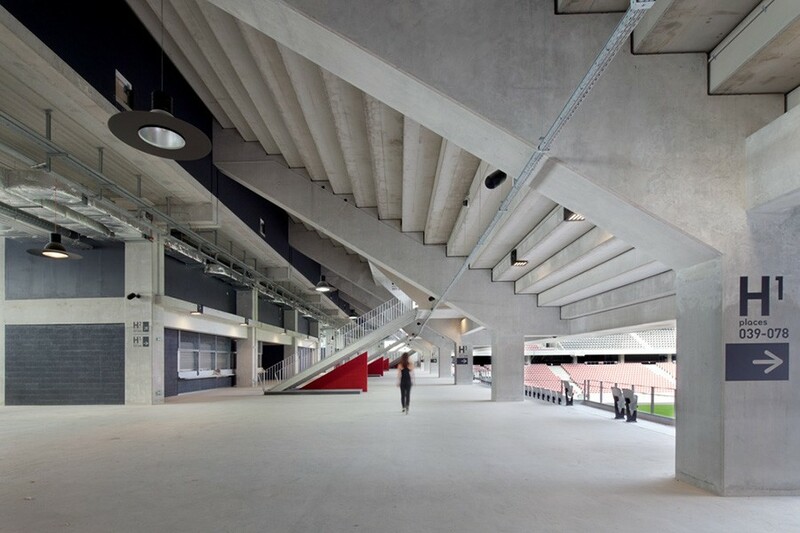 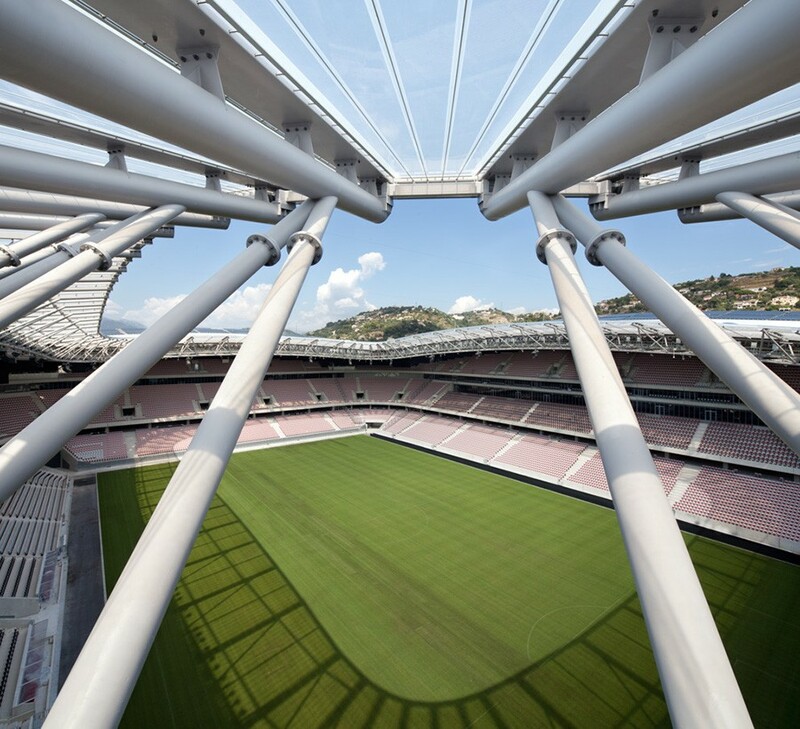 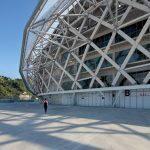 The Allianz Riviera Stadium is a multipurpose eco-stadium designed by architects Wilmotte & Associés. 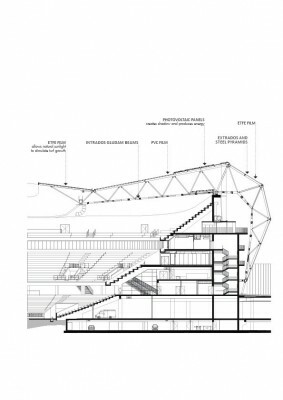 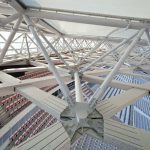 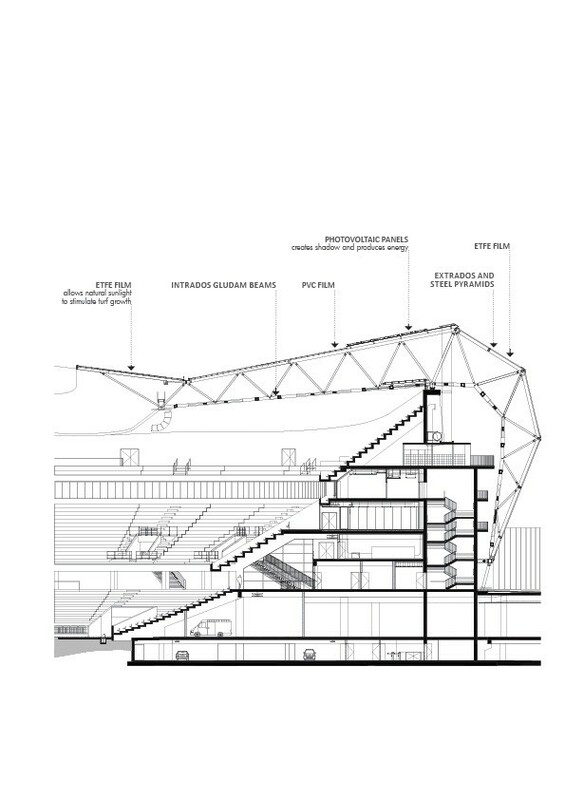 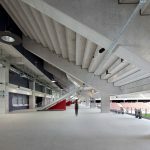 The architectural parti was transparency, and special attention was paid to the stadium’s skin, eliminating the distinction between inside and outside and animating both the interior and exterior of the building. 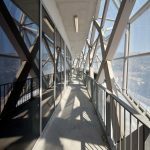 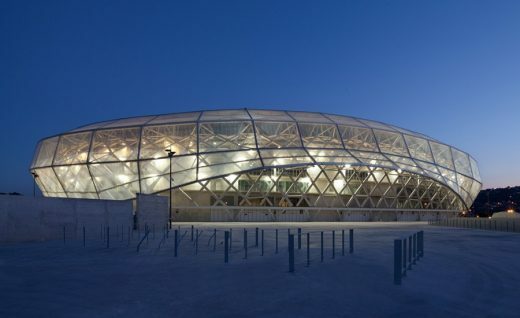 This concept was achieved with the largest timber-metal space frame ever built clad with a translucent membrane (ETFE). The translucency provides views through to the wooden lattice structure and beyond, creating an ethereal play between light and shadow. 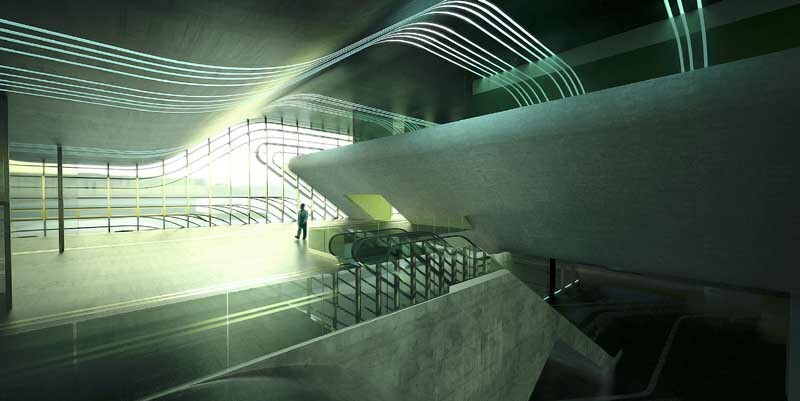 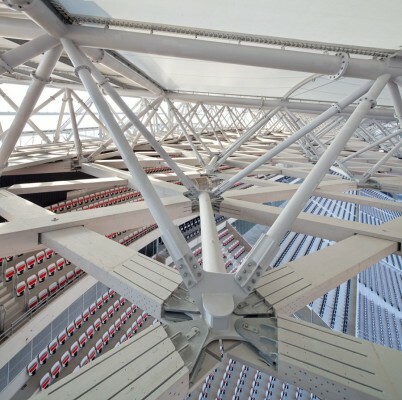 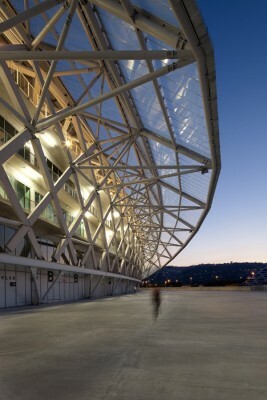 During the day, the stadium is filled with diffused natural light, while at night, it glows from within. 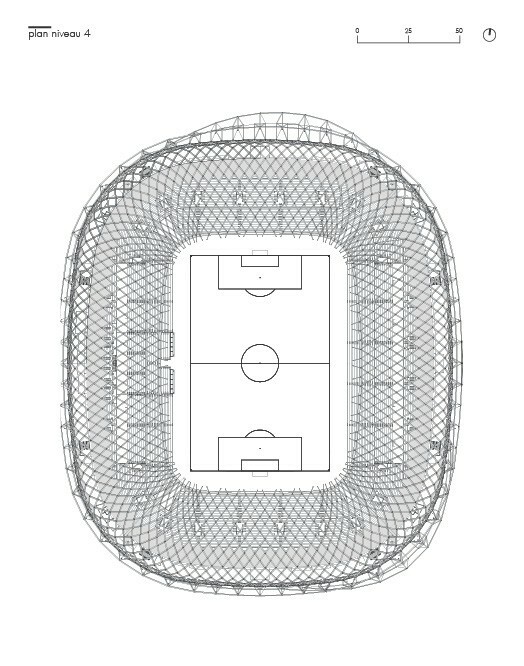 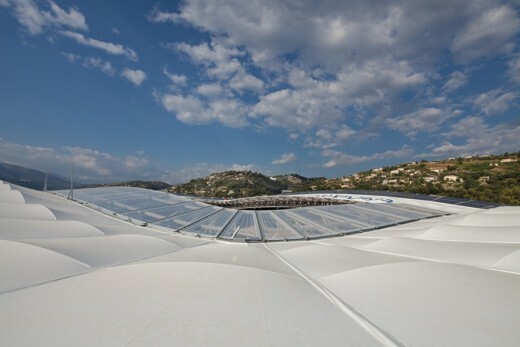 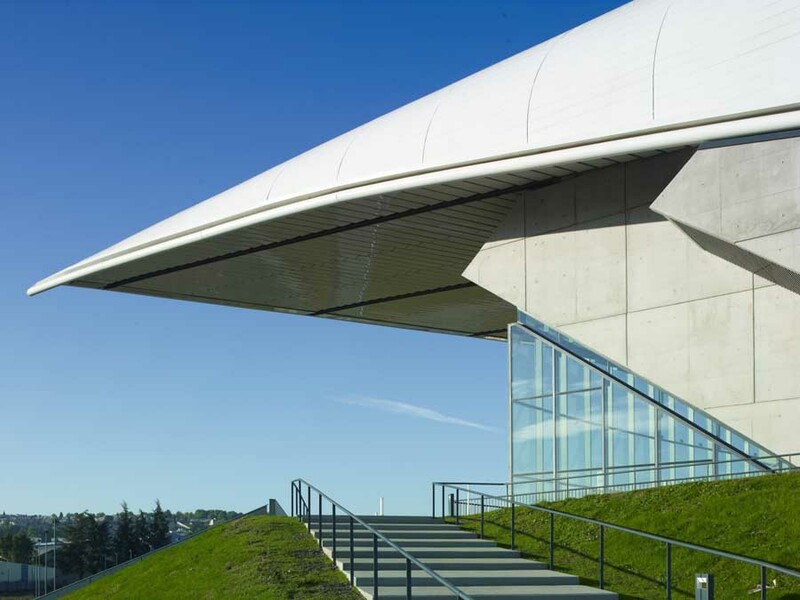 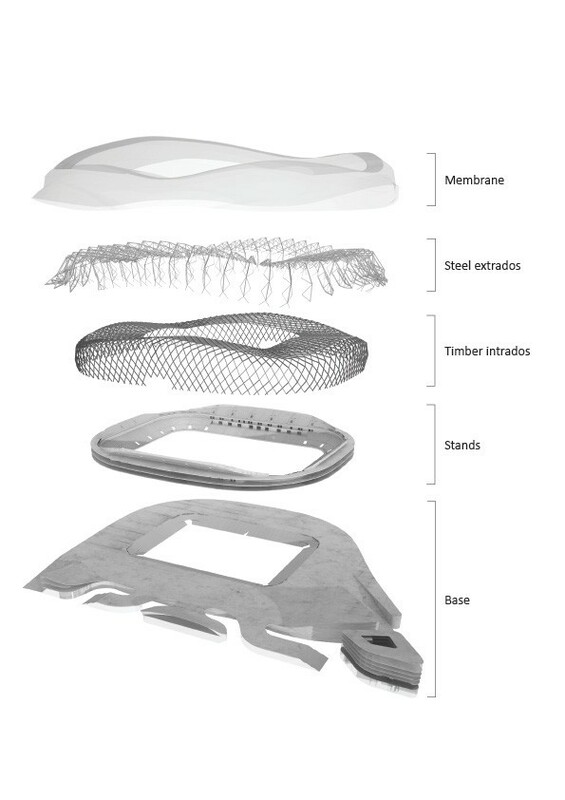 Acting like a protective veil, the undulating membrane appears to float, sheltering the stadium but lifting on two sides to welcome the spectators. 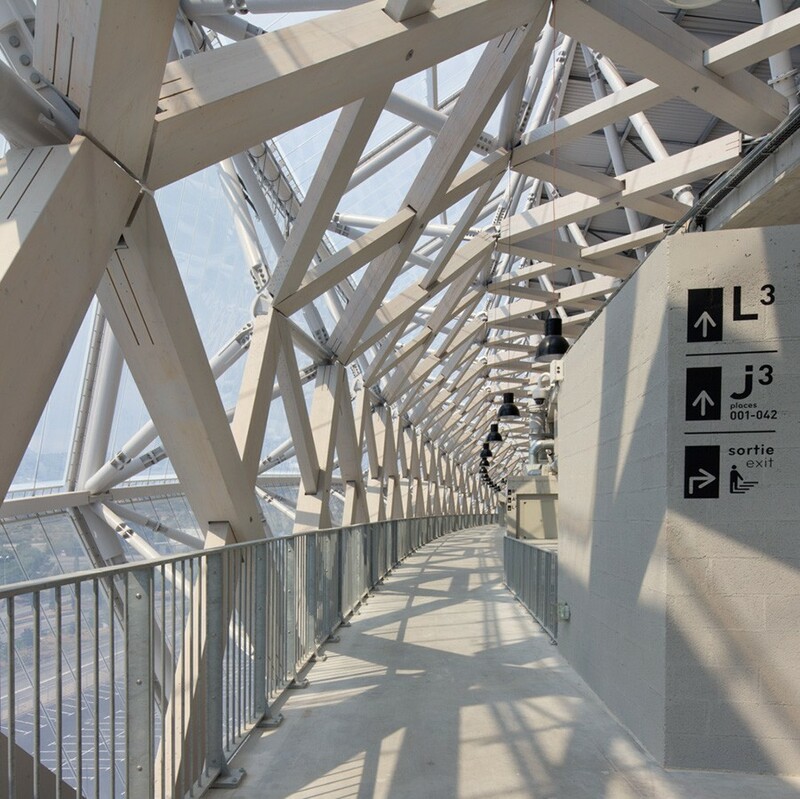 Sustainability was of paramount importance throughout the design and construction process. 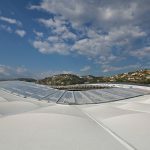 Roof-mounted photovoltaic modules cover an area of 7,500sqm and provide 1,500MWh/year, a large proportion of the building’s electrical needs. Rainwater is collected from the roof and stored for pitch irrigation and toilet usage. 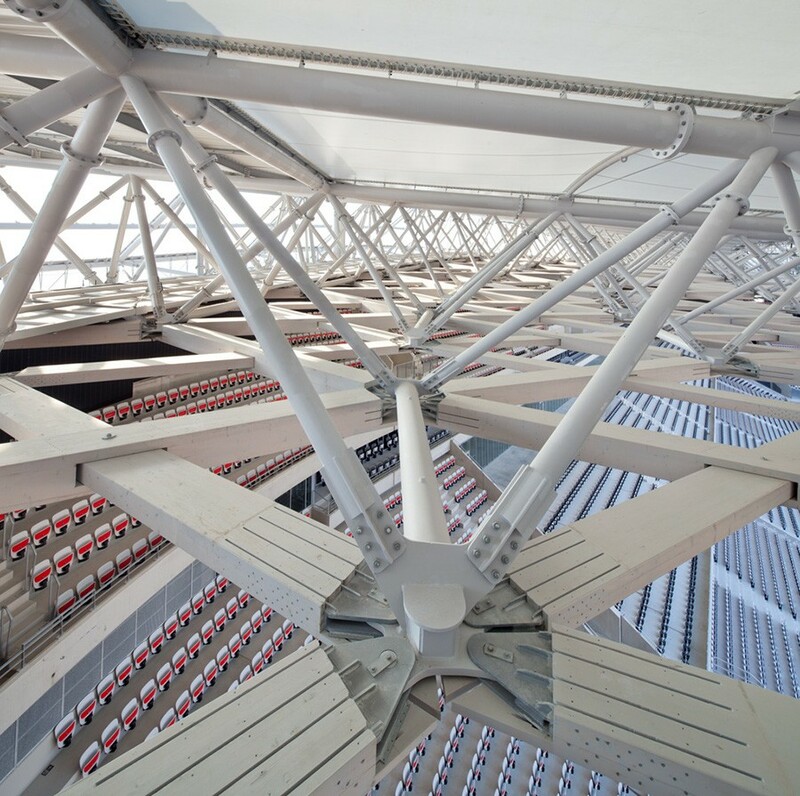 In addition, ventilation stacks harness the prevailing wind to provide natural ventilation to interior spaces. 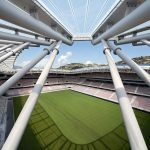 Approved by the leading international sport federations, including UEFA, the 131m x 73m pitch can accommodate the highest level of football, rugby, tennis, and boxing events. 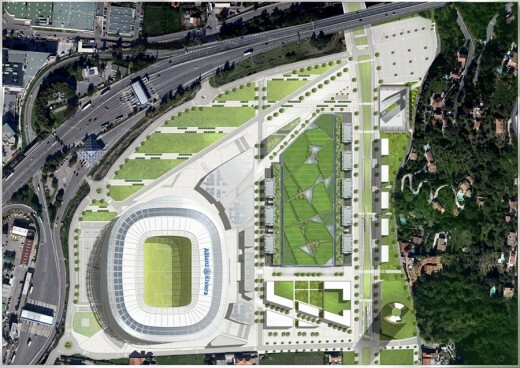 The stadium is also designed to host numerous other event configurations. 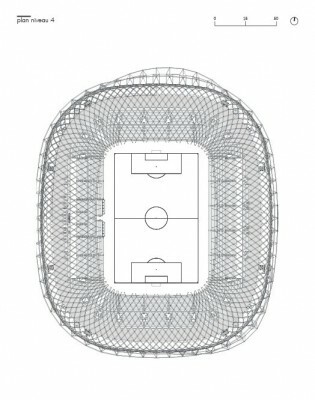 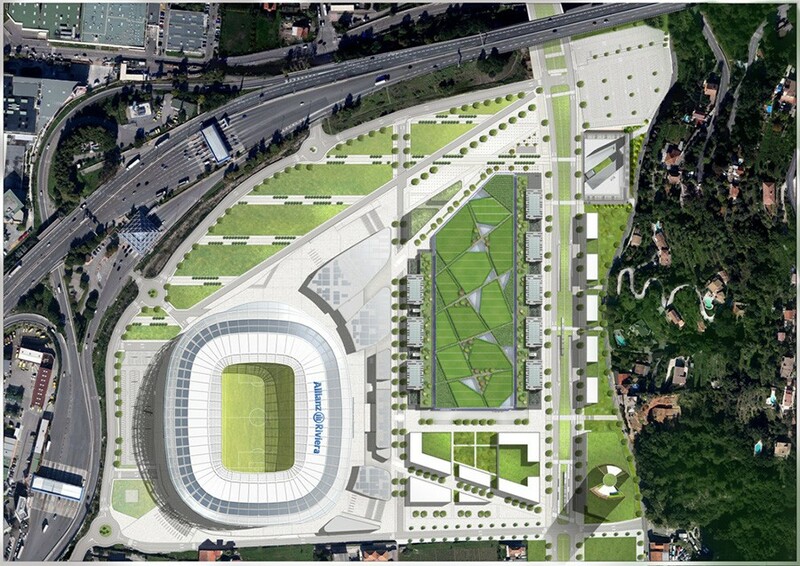 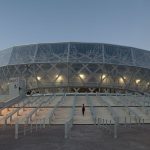 The concert layout allows for up to 45,000 spectators with the shape of the stadium designed to create a sense of intimacy even in such a large space. 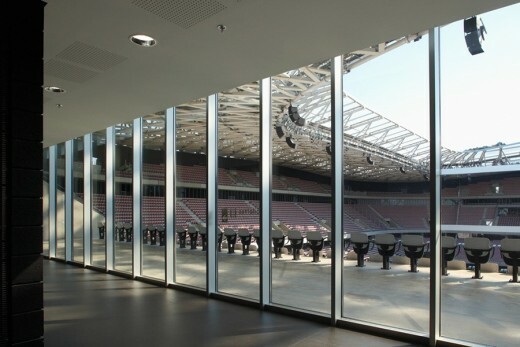 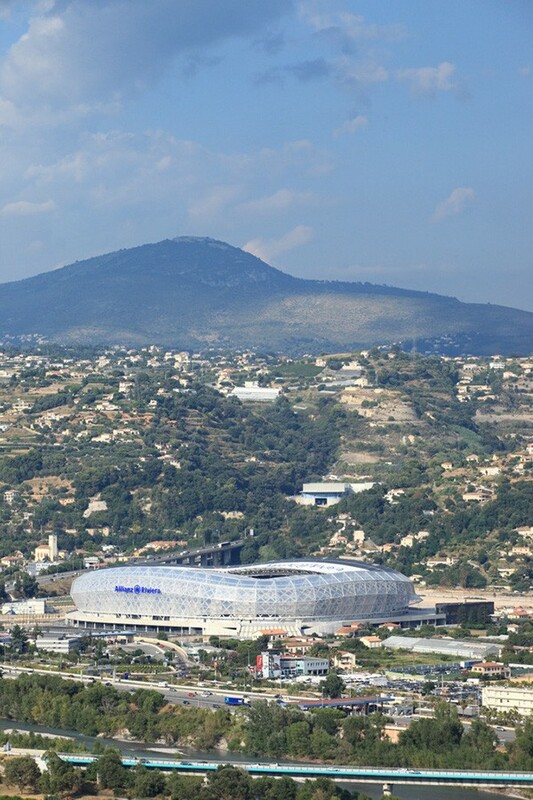 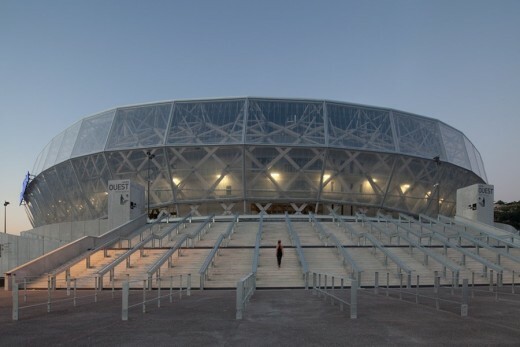 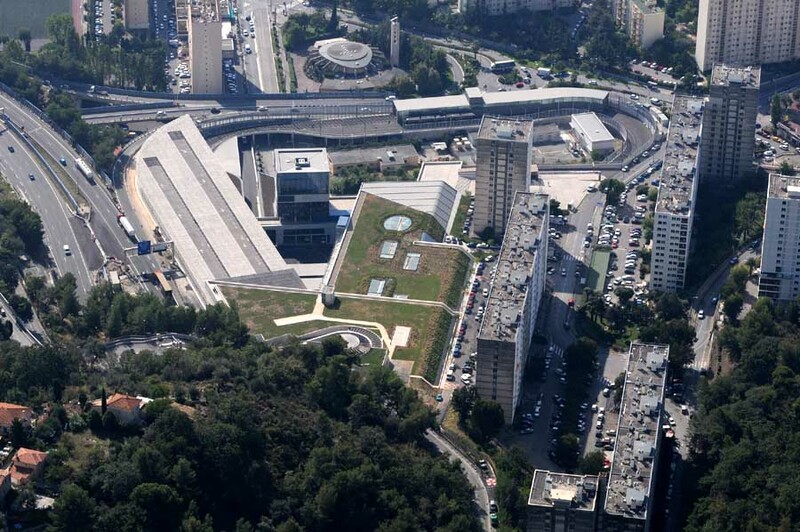 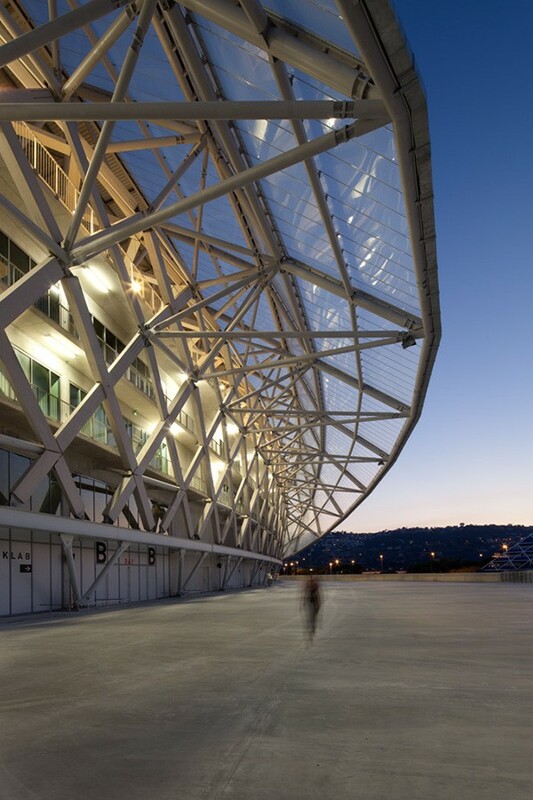 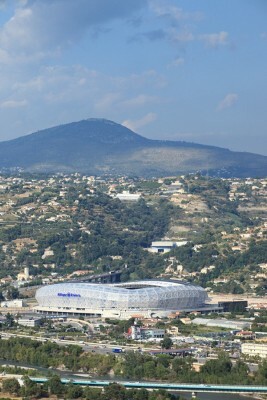 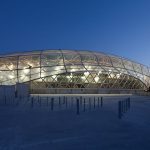 This Nice stadium building opened in 2013: the arena is the home ground for OGC Nice and a future venue for the 2016 UEFA European Championship.